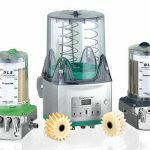 Specialized lubrication pumps with accessories and specialty greases for automatic re-lubrication of racks and pinions, open gearing, linear guideways, ball screws, and chain drives. Andantex USA offers two sizes of the Flexxpump with grease capacities of 1500 cc or 400 cc. 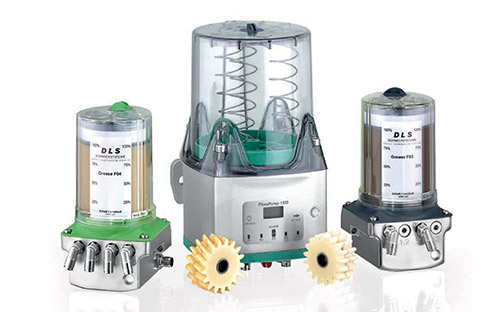 The Flexxpump units can also be used for lubrication with oil with refillable reservoirs from 500 to 2,000 cc. The positive displacement piston pump with built in check valves can deliver up to 70 bar (1000 psi) of pressure to pump greases up to NLGI 2. Flexxpumps can be supplied with on board programing or set up to be controlled by the machines PLC. Our greases were developed specifically for optimum lubrication of gearing, linear slides, ball screws, and food industry environments. The greases provide the correct mix of viscosity, adhesive additives, and corrosion resistance for the specific component being lubricated. The open cell Polyurethane (PU) foam applicators allow the lubricant to be applied or absorbed to insure the correct film thickness for optimum lubrication. Flexxpump is a compact, cost effective system that helps take the guess work out of lubricating components. 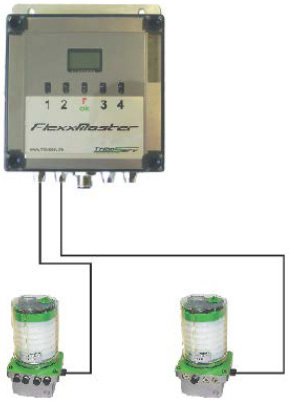 Automatic Relubrication unit with piston pump, programmable time, and delivery rate settings. 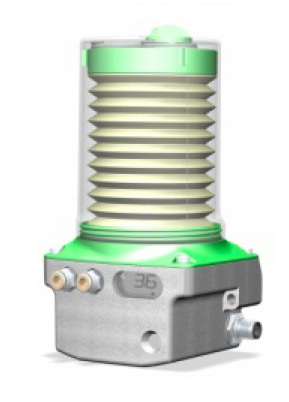 Automatic grease and oil lubrication rates controlled by PLC or on-board programming. 1-10 outlets available for multi-point lubrication. 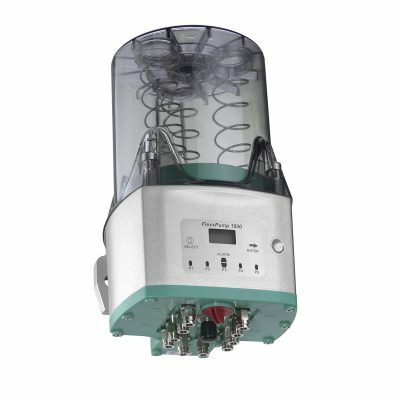 40 individual lubrication points are available when using a 10 outlet FlexxPump. Powered by battery or 24V DC supply. FlexxPump can achieve 70bar (1000PSI) for pumping grease up to 10 meters. 9 different greases specifically developed for components to be lubricated. Greases for open gearing, linear slides, ballscrews, chain drives, and food grade available. Greases available in replaceable 400cc, and 1500cc cartridges, 1Kg. Tin, and 400cc cartridge for grease gun. Oil to be held in refillable oil reservoir. Custom greases can be put into grease cartridges. Custom PU Foam Pinions available upon request. Many options for line splitters, and progressive distributors available. 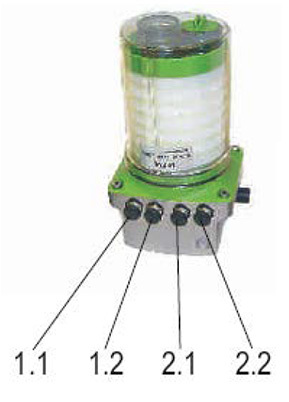 All interconnecting components needed for a complete Automatic Grease Lubrication System available.